It is possible to rent a bike for at least 2 days. All bikes come with lightning, a fixed lock and an extra chain lock. 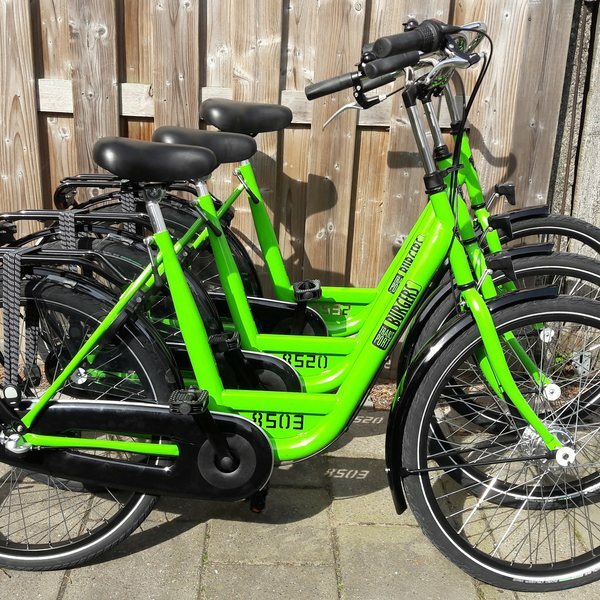 The deposit is € 100,- (cash only, per bike). Possible theft and/or damage are at your own expense. Go cycling for a low price. We offer 3 different types of bikes. We ask a deposit of € 100. All our bikes come with a fixed- and a chain lock. We help you with the correct setting of the saddle, and give you clear instructions. You can pay with cash or PIN (Meastro) and CreditCard.